Imagine a newly fledged eaglet whose home rests high upon some rocky cliff, and that today it rises for the first time to stand on the edge of its woven-stick nest. Before now, the only world this little creature had ever known was the sheltering safety of its enclosed aerie, but no longer is this true. Standing there, it peers out over an open and seemingly endless new world, and as it does, a silent but unmistakable invitation sounds itself through the eaglet's heart. Its answer to the call of this expanse is instinctive and immediate: It stretches open its white-tipped wings and feels them catch the swirling updrafts that race their way around the mountainside. Slowly, the young bird rises, teetering in the air, even as its talons involuntarily lock onto the sides of its nest, anchoring it there. For several days this future king of the skies will run through this exercise, exploring its newly found powers and the promise of flight, though it still remains earthbound. And then there comes a moment when -- caught between the instinct to be grounded and the wild longing to fly free -- it lets go of the only world it ever knew. In that instant, in a certain sense, it is born again and takes its rightful place in the open airs it was created to rule. With this simple look into what is commonplace in the natural realm, we catch a glimpse of something supernal. We are given a hint of what we must do to enter into the heavens hidden within ourselves. Let Nagging Questions Go Unanswered. In times of stress, learn to listen to what the Extraordinary Life is trying to tell you about your True Nature, instead of searching anxiously for familiar answers to make your stressed-out self feel right again. All fearful, doubt-filled moments are secret reflections of what we have yet to understand about life and ourselves; they are not life's rejection of us or of our wish for happiness. Choose to go consciously quiet whenever there is a riot in you. Refuse to take part in the search to repair what you fear may be coming undone. Let go and watch what happens when you consciously sacrifice the fear-filled self. This new action allows the Extraordinary Life to enter into you, where its presence alone proves that all is well. Don't Make the Rescue Call. In times of anxiety and fear, we almost always call upon someone or something to help us get through our stress. This dependency on others for strength to see us through our trials not only weakens our soul, but it also steals from us the possibility of being educated by the Extraordinary Life, which means we miss two major lessons. First, the crucial insight that all our fears are based upon false evidence that appears real. With this revelation comes our second realization: the same frightened self that seeks rescue secretly confirms its imagined condition as being real each time it cries out for help. Refusing to rescue ourselves from inner states that scare us invites the Extraordinary Life to show us that no such scared self exists that needs saving. Do the Thing You Fear Doing. There is a correct time and place for thinking through practical plans in the ordinary scheme of life's events. But nothing that is founded in thought can serve to reveal the unthinkable plans that the Extraordinary Life holds in store for anyone willing to leap into the moment without a parachute. Never mind those old fears of falling. Just jump! Being willing to risk failing is a prerequisite for fearless living. If you take the leap into what you are psychologically afraid of doing, the Extraordinary Life will prove to you that its unshakable ground is everywhere beneath you at all times. Nothing in the world compares with this discovery because, once realized, there's nowhere for you to go but up! A note of caution: taking a spiritual leap is a far different thing from taking a reckless physical risk. Never risk the wellbeing of your physical body for the sake of a passing thrill; for what is possible to attain with a body, cannot be done without one. The temporary rush of adrenalin has nothing in common with one's awakening to the reality of a timeless, fearless life. Each of these inner practices makes it possible for you to reveal and then release what stands between you and your relationship with the Extraordinary Life. To succeed, all you need is an earnest wish to awaken, coupled with a willingness to go to work on yourself. Should you feel yourself starting to sink just thinking about how far removed you are from the Extraordinary Life -- that the distance to go is too great to cover -- never mind all that nonsense. We should always remember one thing: whenever the inner-going gets tough, which it must if we are to grow, it is far better for us to temporarily fail at becoming what we intend to be, than it is to succeed at remaining who and what we have been. 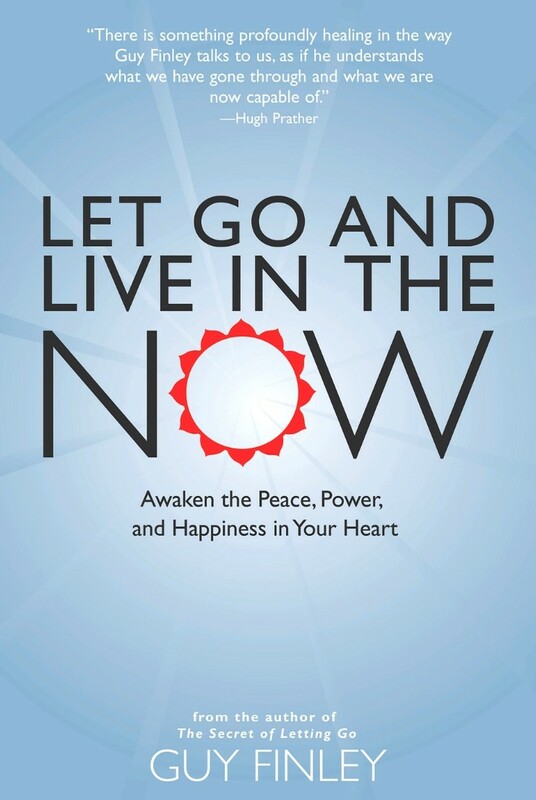 Excerpted From: Let Go and Live in the Now: Awaken the Peace, Power, and Happiness in Your Heart, pages 177-184.